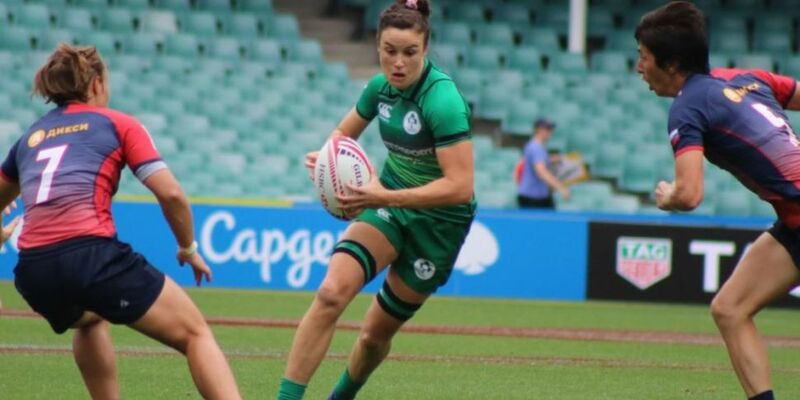 It's been a great day for the Ireland team at the World Rugby Women's Sevens Series in Australia. They’re into the quarter-finals in Sydney after going unbeaten in the pool stage. Ireland started with a 7-7 draw with Russia, Eve Higgins crossed the line for Ireland, with a Lucy Mulhall conversion making it 7-0. Russia hit back almost immediately. The opening game ended level 7-7. Ireland followed that by edging Canada 15-14. The Canadians flew out of the blocks and twice crossed the line in quick succession to race into a 14-0 lead. Hannah Tyrrell and Louise Galvin crossed the line to narrow the gap to 14-10. Amee-Leigh Murphy-Crowe went over in the corner for what would be the winning score, as Ireland held out to claim just their second ever win over Canada. That result made all the most impressive as they came come from 14-0 down to record a second ever win over Canada. That victory was followed by a 22-19 win over Fiji to finish top of Pool B. Ireland will take on Spain in the early hours of Saturday morning.